The British Gazette » Brexit: Of babies and bathwater and Qianlong vases and car boot sales…….. 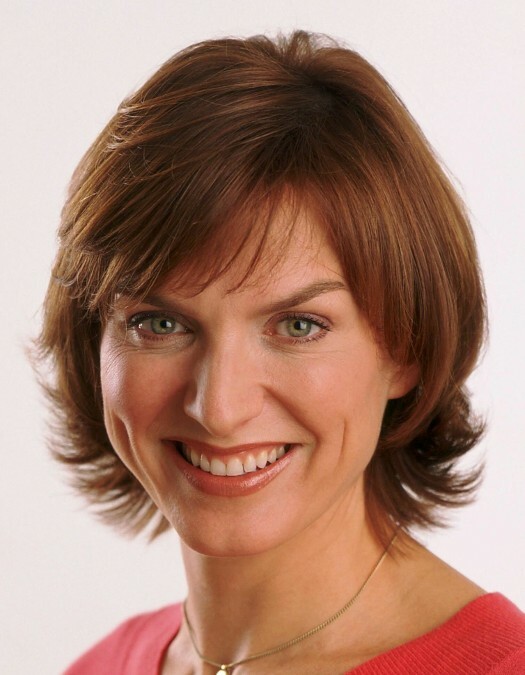 Above, Fiona Bruce, Mrs Nigel Sharrocks. As well as presenting BBC1’s “Question Time” on Thursday nights, Mrs Sharrocks, who replaced Mr David Dimbleby early in 2019, also presents the long running programme, “Antiques Roadshow” having replaced Mr Michael Aspel in 2008. Of the two programmes, your Editor Dear Reader stopped watching “Question Time” some time ago as the interminable stupidity of politicians late at night is more than mortal man can bear. “Antiques Roadshow” however is a programme that I watch regularly. There have been 41 series which was first broadcast on Sunday 18th February 1979. In fact I will readily admit that this programme is my favourite programme and makes paying the state broadcast tax – aka the TV licence fee – worthwhile. You see the programme’s attraction is that it nearly always has something of interest – the objects members of the public bring and their different stories. What I find intriguing is how the owners came into possession of the objects under discussion. Many times the owner acquired the object in a car boot sale and sometime rescued it from a skip. Such objects can sometimes be assessed at having a considerable value. Sometimes a person comes along with an item of incredible value. Often such items are known to be valuable by their owner and these owners are clearly from a family of high social status and consequentially have objects of great value in their possession. However the really intriguing situations – which make good TV – are those rare but not that rare – occasions where “ordinary” people have in their possession an object of great value and the significance and value of said object is unknown to them. Sometimes the person comes along and relates that they or their spouse (in such circumstances often the wife) don’t like the object, don’t want to give the object house-room and are or sought to dispose of same, but had not done so due to their other half’s objections. The fascination for me is this: what if the previous owner of an object who had disposed of the object at the car boot sale or had thrown the object in the skip, was watching the TV programme and recognised that object? And heard the valuer place a value of thousands of pounds upon it? For instance, the value of a vase was a shock and a surprise to it’s owner. Imagine a person selling the above at a car boot sale for £10? If their folly were discovered by the Antiques Roadshow and they watched the programme, they would likely be as sick as a parrot! Although why a parrot should be a particularly prone to gastritis more than other birds, I don’t know; why not as sick as a seagull, given the detritus they seem to swallow? Be that as it may however, we would have the situation where the former owner would not be feeling full of the joys of spring, or whatever season of the year they witnessed the broadcast at the time….. Which brings us to the entities represented by the subject of the simile; the EU27. Unlike the unknown former owner of a valuable object, the EU27 know well the value of the UK’s financial contribution. They know that a nation the size of the UK forms a significant component of the EU. They are not happy with the prospect of Brexit. Whatever the French President may say from time to time. We therefore don’t agree with Doctor North’s post today (http://eureferendum.com/blogview.aspx?blogno=87185), that the danger of a No Deal Brexit is at all likely at this stage – unless Madame is determined to achieve it and the Tory Party does not stop her. It this therefore overwhelming likely that if Madame is prepared to agree to the EuroParl elections taking place in the UK the EU will agree to extend the second Article 50 extension for a much longer period. It may very well be the case that since the members of the House of Fools will be unable to agree on what they do want, as opposed to what they don’t want, both HMG and the EU27 will kick the issue of Brexit into the long grass. This of course would be highly damaging to the UK in terms of reduced inward investment and probable relocation of industry.